To remain competitive, businesses must constantly remain on the cutting edge of technology and innovation. As a result, technology programs such as system upgrades, cloud migrations, and security enhancements remain top priorities in improving business processes and capacity. Rather than build internal staffs to address these different initiatives, many companies prefer to contract temporary IT resources to acquire the necessary skills and know-how to accomplish a task. By contracting IT professionals on a consulting basis, companies reduce capital expenditures and attain immediate assistance with a project or a skill transfer to their team. 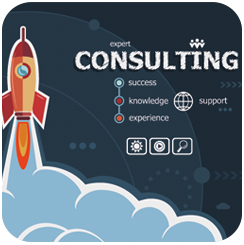 Questa maintains a pool of top-notch IT consultants that are among the best in their class. Whether you are looking for assistance with application development, system improvements, infrastructure services, security, migrations, project management, or troubleshooting, quality insurance, and test, our professionals offer expertise in a range of technologies in a multitude of platforms. Based on your specific requirements, we individually select a candidate that provides the skillset for optimized success. Having worked with small businesses to Fortune 500 companies, our professionals understand how to work in different environments in meeting a client’s specific goal.